For Bond 25, I'd love to see a classic warm country for most of the movie, a la Thunderball. How about most of the movie set in Brazil or Thailand? And for the one after that, how about a classic Eastern European journey, starting in Berlin and heading to Moscow via Poland and Bosnia. Well, if/when they adapt the Castle of Death, I think Bond maybe returning to Japan. The whole Marina Bay area where they have the Grand Prix would look great in a Bond film. I would welcome a return to Germany. Preferably Munich. any shmuck can go to Vegas...heck, I was there last week! Spain, Spain and again Spain! Jamaica? For a location so closely associated with Fleming, it's hard to believe that he's only traveled there in the films once. I'm aware that he's been to other Caribbean locations a lot recently (Bahamas, Haiti). Plus it would give him a chance to run into Felix again! Especially Down Under, considering Bond has yet to go there in the movies. In his critical analysis The Politics of James Bond, Jeremy Black points out that Fleming never set a Bond adventure in an overseas English speaking country that's part of the British Commonwealth--Canada, South Africa, New Zealand, and Australia. Bond travels to Jamaica in Live and Let Die, Dr. No and The Man with the Golden Gun and spends time in The Bahamas in Thunderball and the short story Quantum of Solace. the buttertubs pass in Yorkshire could make for a good car chase. if they ever choose Yorkshire as a location for a bond film you'd have no complaints from me. I agree. How about all 3 in Bond 25? I don't really think so. South Korea in 2015 is not what Japan was in 1967. While Japan was still in that post-WWII phase, South Korea is one of the world's largest and fastest growing economies. South Korea has never had the stigma attached to it that post-Imperial Japan did. Having said that, I would completely welcome Bond to make a (return) trip to South Korea. As the only time he's been there, was a span of 30 seconds at a U.S. Military base in Die Another Day. I'd like to see Indonesia featured. Maybe somewhere in Sumatra, with a rural outdoor setting - the humid air, the dense jungle the muddy roads. Maybe some kind of coffee or sugar plantation being used as a cover for something. I'd also like some kind of "Old Europe" setting, a city like Budapest or Prague, where all the buildings are so weighted with history that they almost have their own gravitational pull. One of my favourite scenes in the films is Roger Moore climbing to the monastery at the climax of "For Your Eyes Only". I find it really tense, since it taps into my dislike of heights. I read somewhere that the original draft of "Tomorrow Never Dies" had Bond climbing a frozen waterfall, so maybe that could work. On the other hand, he could go caving - I could see him abseilling down into a cavern of some kind, perhaps to escape a group of villains in a helicopter. Reimagined The Man With The Golden Gun novel climax? 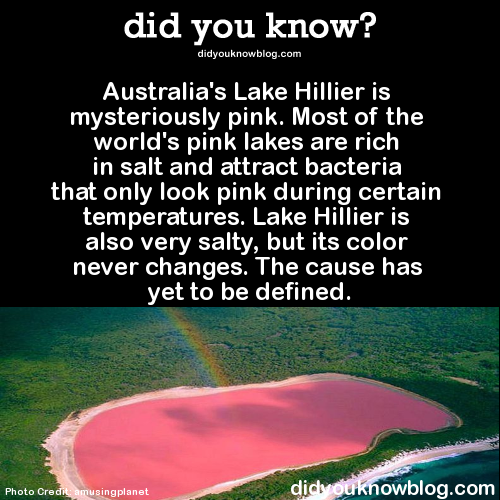 Mysterious pink lake in Australia. I know Bond killed Scaramanga in a swamp during the novel, but it would be an interesting way of finally bringing Bond down under. Edited by DamnCoffee, 21 January 2015 - 12:08 AM. Yes, I'd like them to use Lake Hillier for a Bond location. Of course, if they are coming down here, I'd prefer them to film in Sydney so I can get my head in shot! Not sure how they'd work it in, but I'd be all for it. Also, where is this exactly? 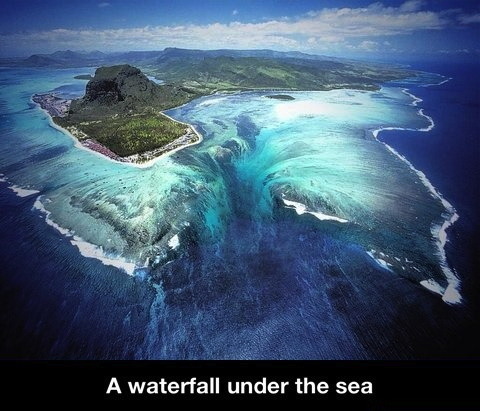 Somewhere off the coast of Australia? Not quite true that Fleming never set a Bond adventure in an English speaking Commonwealth country. Apart from the fact that Jamaica, the Bahamas and Bermuda are undeniably English speaking and two are members of the Commonwealth (Bermuda is a British Overseas Territory) - didn't part of "For Your Eyes Only" - the short story that is - take place in Canada, with Bond being assisted by an RCMP officer in his pursuit of Von Hammerstein and his cronies? No criticism intended of anyone posting here - rather the author of "The Politics Of James Bond". Well I was totally wrong, haha. Yes. The bedtime story Bond tells Viv in TSWLM also puts Bond in Toronto, Canada. In other words, Bond flies to Sierra Leone. The diamonds are smuggled out of a Sierra Leone mine, but the handover happens across the border in French Guinea which is where Bond shoots down Spang's helicopter. I'd like to see Bond in another European casino - maybe back to Monte Carlo? In reply to glidrose, of course Bond went to Canada twice, when he took on the Toronto Mafia and a SPECTRE agent before encountering Vivienne Michel in The Spy Who Loved Me. And of course it was Sierra Leone he ended up in at the end of Diamonds Are Forever. And I ought to have remembered , I was only listening to these last summer on the car CD player. Senior moment time, I think. That's what happens when you're a Bond fan who is older than the current M, let alone the current Bond! I'd like Bond to visit more countries he's never been too before. I'm tired of Craig going to Italy and Austria all the time. However countries I would like to see a return visit too are Japan and Jamaica.